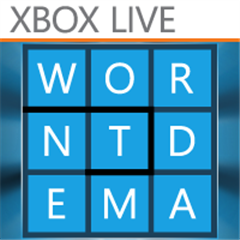 The word game that took Windows Phone by storm, Wordament is now playable online for free. Hosted by Xbox.com of course, you can just login and play the game along with everyone else. 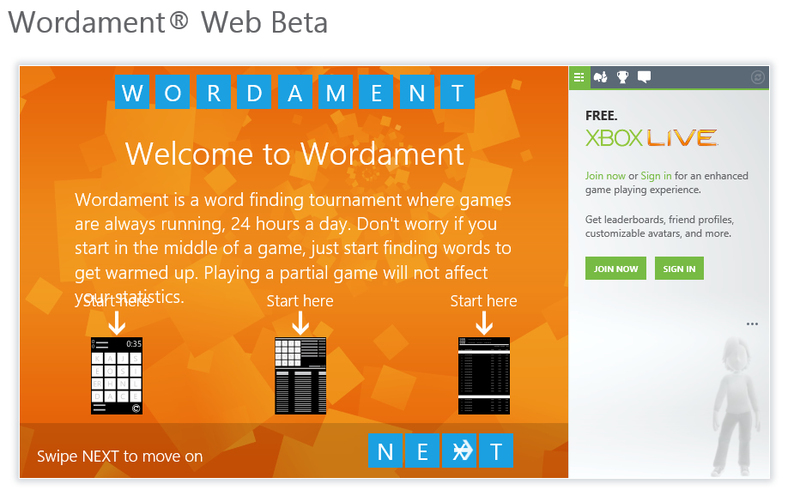 This is the “Wordament® Web Beta” so it might get a little quirky here and there, even though I haven’t experienced any issues. As always, you can play the free Xbox game on your phone by following the link below. We love our player community and our players love their stats! So we track player progress by maintaining private statistics including your best word found, total score, best word count, first place finishes and the number of games you have completed. Public, real-time leader boards show you who’s rocking it for the day, hour and overall. Climb the ranks and earn achievements and bragging rights along the way! Written by: Hyde13 on February 1, 2013.